GDP WIN2 - Shenzhen GPD Technology Co. 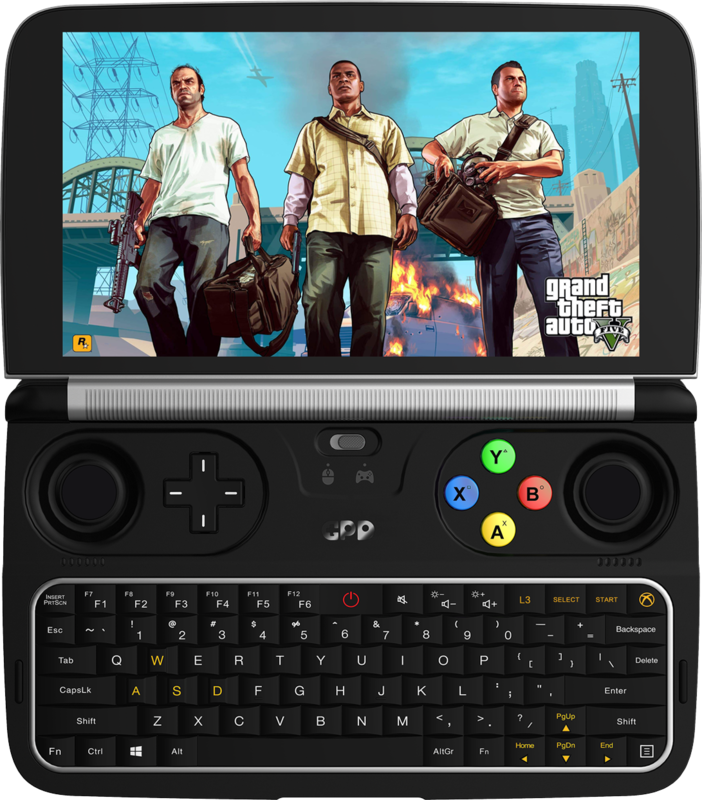 Owning a portable handheld game console capable of running 3A games such as GTA5 has always been the dream of many gamers, but even the best handheld representative product in the industry like PSV, 3DS, and NS cannot make it. That is because from the perspective of hardware design, the better performance the handheld has, the higher values are required for the device size, power consumption, heat release and weight. However, what a real handheld design pursues is the feature of portability, compactness, small heat productivity and long battery-life. 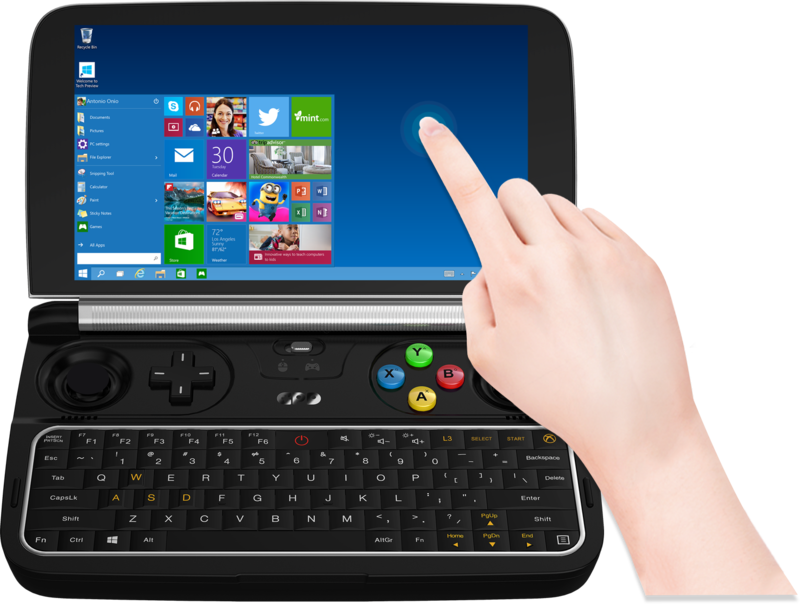 Last year, we successfully launched GPD WIN, the first 5.5-inch PC handheld game console based on the Windows platform in the industry. 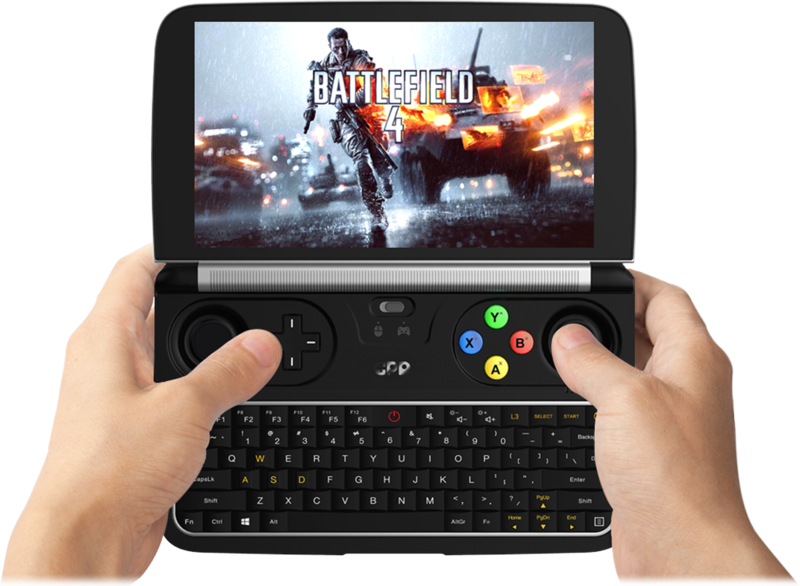 The significance of this machine lies in the fact that many games that could only be played in front of a television or a computer in the past can, for the first time, run on a portable handheld. 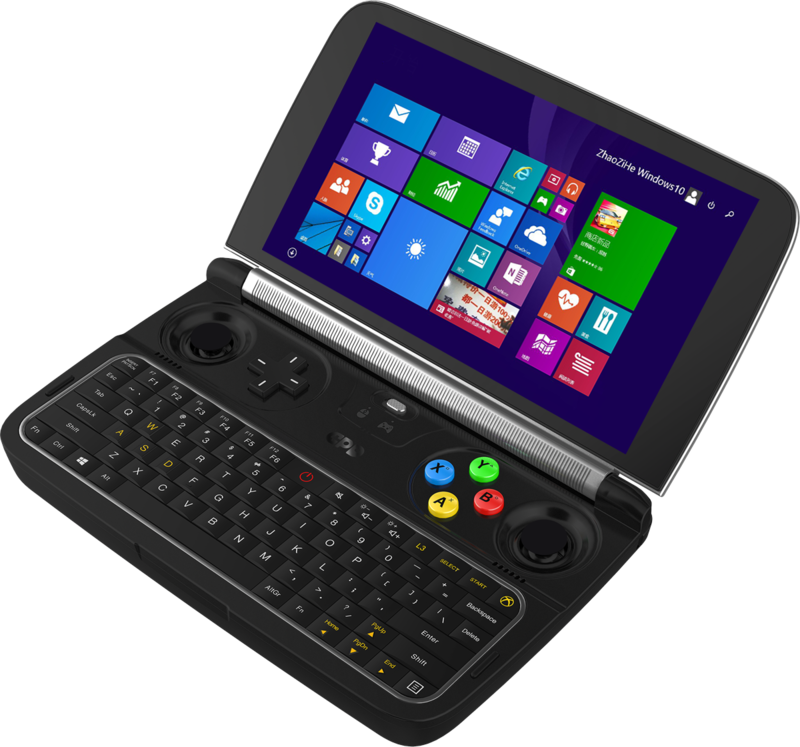 However, we understand that the first generation of GPD WIN may have many deficiencies, especially in the aspect of performance and heat dispersion. 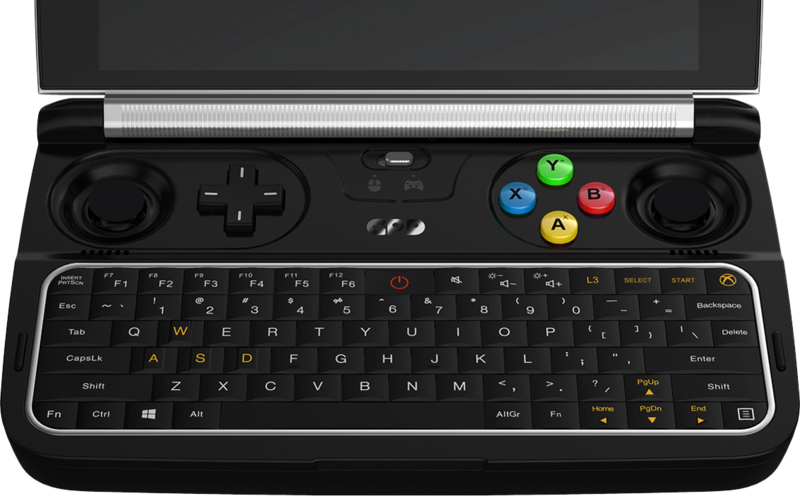 What is the GPD WIN 2 ? The framework of the cover is of light, strong magnesium alloy material to avoid deformation- induced screen bending. The rounded edge design shows more affinity. The black removable ABS cover can be replaced by stamping process made zinc alloy stereoscopic cover, or it can be pasted with personalized metal stickers and adhesive stickers. To perfectly create your unique ultimate dynamic 3D heavy metal styled handheld by yourself. For lightweight design, the machine’s body uses ABS material. The 3D rocker is still of sink-style design. Unique arc metallic film keys, more suitable for blind operation. The design of 360 handle-style ABXY key, still retains double-character screen printing technique. The less commonly used D mode is removed from the handle/mouse switch, simplifying the overall design. 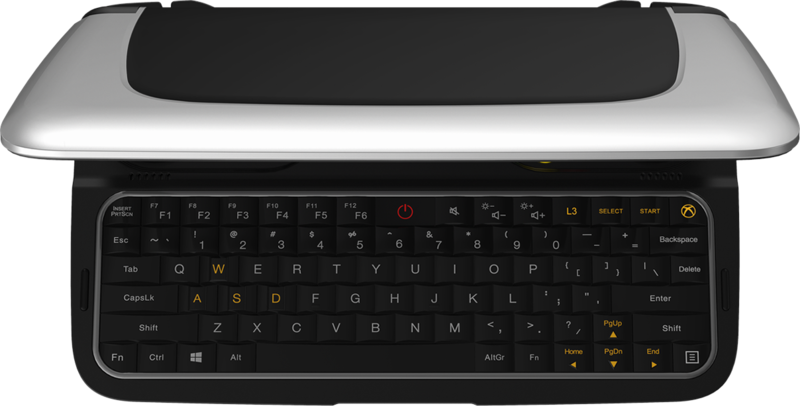 The machine body, keyboard and handle are in a highly uniformed color, which bring out the best of the design. With an elegant appearance, matt UV spray provides you with a delicate feel. The machine is as fine as art from color design to material application. At the back of machine, the trigger key L1/L2/L3, R1/R2/R3 are arranged on both sides. At the same time, all the interfaces are designed on the back, in the order of Type C, 3.5mm headphone, USB 3.0, Micro SD card, Micro HDMI and hot air outlet, with quite compact layout, bringing out the best of the design. 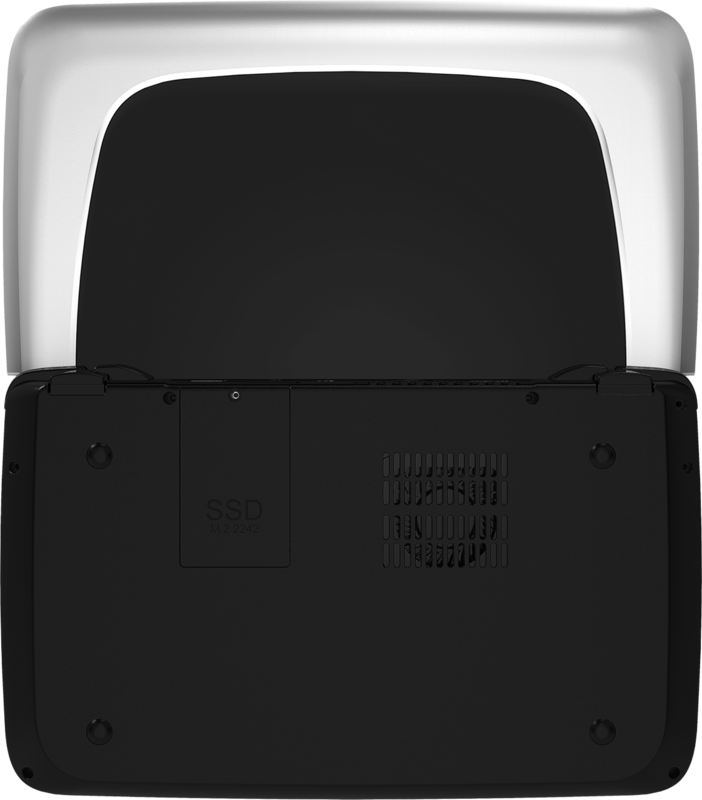 In order to facilitate players to replace the SSD, the D surface of the WIN 2 is designed with a slot, enabling the SSD be inserted obliquely, with a plug-in cover on the top. The copper nuts are embedded in the sealing, and it is fixed using copper screws, which effectively guarantees that the SSD is connected with the M.2 interface closely even in the extreme drop state. In order to extend the battery-life, WIN 2 uses 2×4900mAh large-capacity and high-density polymer lithium battery, with 7.6V voltage output, 37.24 Wh of power and 600Wh/L energy density. Equipped with 6-inch Super-Shine View from Sharp Corporation, with the viewing area increased by 109% compared to the previous generation; Using the In-Cell full lamination technology, the screen is thinner due to the reduction of a piece of glass. By applying the fourth generation of Corning gorilla glass screen, the intact rate of 1-meter drop test is as high as 80%, and the anti-damaged capability is raised by 45% compared to the third generation Boundless protection design with no prominent frame, make you more focused while operating. 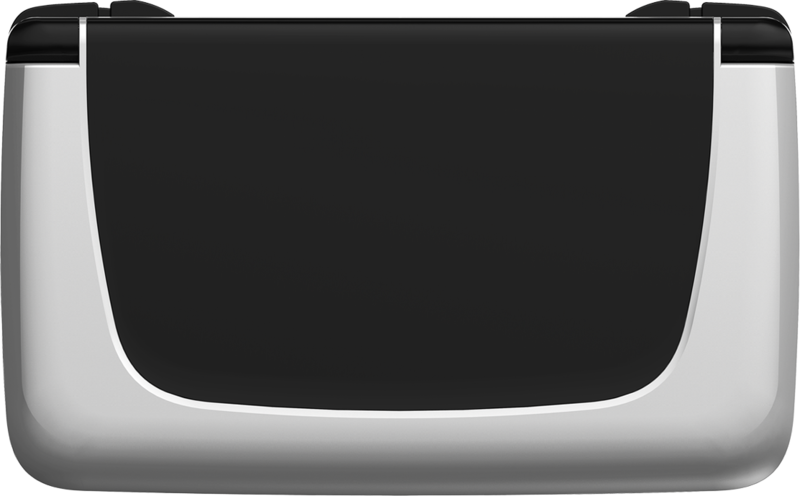 Narrower black side of the screen, with the upper border of 5mm and the lower border of only 3mm, contributing to a higher screen occupation ratio. The resolution is 1280×720, with its definition 2.53 times as that of the 24-Inch desktop monitor, and the level of viewing angle is up to 178°; At the same time, the touch screen operation is also supported by WIN 2. The design of the air inlet on the side of WIN makes it easier to be blocked by hand while holding the machine, which has been widely criticized. The air inlet of WIN 2 is designed in the D surface and the heat will be discharged from the back of the machine by a fan, which effectively shortens the heated air exhausting distance, extracting heat of the machine nearly in no time. In the limit test, the temperature of the machine can always be controlled at about 39 degrees. Equipped with the seventh generation of Kaby Lake Intel ® Core™ m3-7Y30 Processor, produced by more advanced 14nm process technology, extremely ultra-low voltage. Equipped with the seventh generation of Kaby Lake Intel Core™ m3-7Y30 Processor, with a high performance close to Intel Core™ i7-3770K. Its single-core performance is of 1244 points tested by CPU-Z. There is not any stutter running the latest AAA- class game masterpiece with low game effects. Equipped with the 9th generation of Intel HD Graphics 615, with 24 EU execution units and a maximum dynamic frequency to 900MHz. The game frame number increased by 2.2 times compared to the previous generation, which enables the game screen to be smoother and more realistic. Do you still use the 2.4GHz Wi-Fi ? 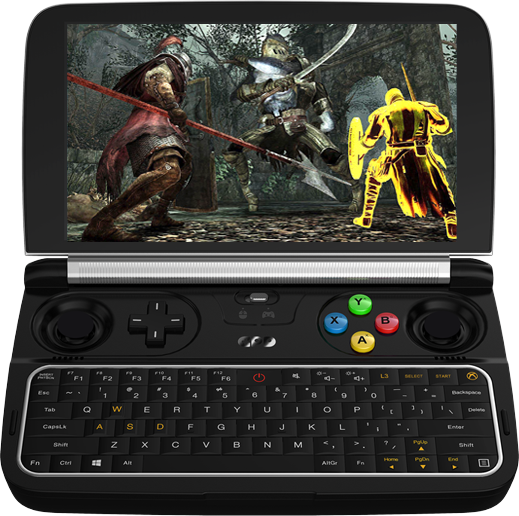 WIN 2 is not limited to this, it has 2.4GHz/5GHz Dual- band wireless, supports Bluetooth 4.2. 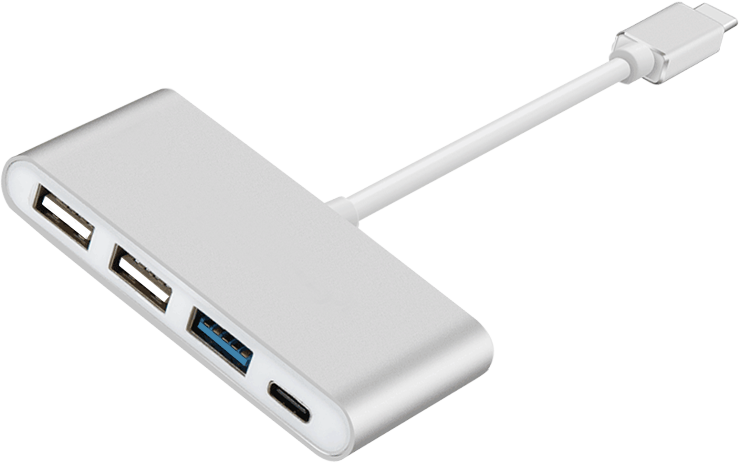 WIN 2 can be charged by mobile power supply, and it would be perfect if your mobile power supply supports PD 2.0 fast charge function. 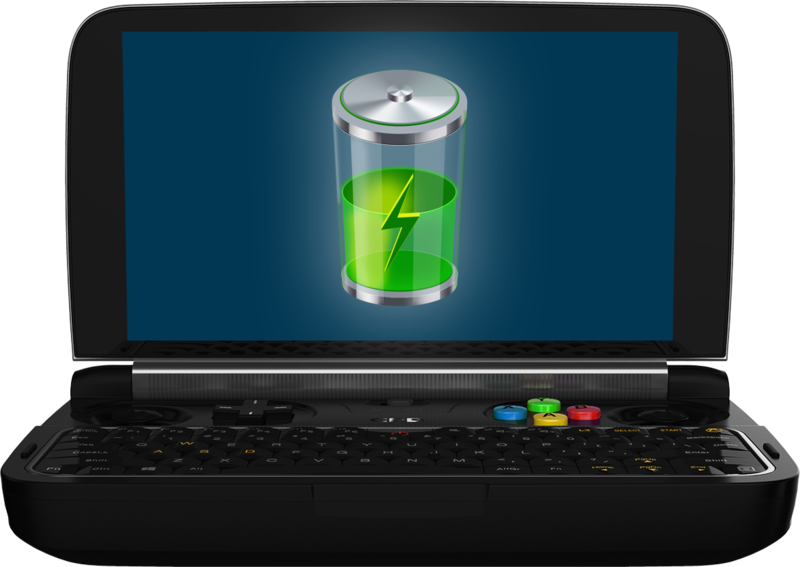 In the meantime, WIN 2 can serve as a source of power to charge your mobile device such as a mobile phone. Theoretically, it can charge 6.8 times to iPhone 5, 5 times to iPhone 7, 3.6 times to iPhone X and 1.5 times to iPad Mini.